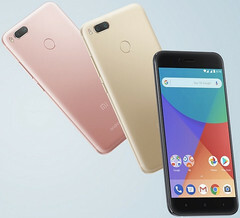 Xiaomi released the Mi A1 back in 2017. The device, depending on how you choose to look at it, paved the way for the current Android One program, as it was the first device from a major mainstream OEM to carry the Android One badge. The device was launched on Android Nougat and has received two updates: Oreo and Pie. Apparently, that may not be where the device’s journey ends. According to a report by Android Central, the A1 could receive the Android Q update. The A1 has already received two updates. Android One phones are guaranteed to receive two major OS updates and three years of security patches, so this would be more than expected. Of course, there’s a minor issue with the whole thing: Android Central’s list doesn’t have much in the way of evidence for its claims. We’re inclined to believe that the A1 will, in fact, not receive Android Q, especially considering Xiaomi’s less than stellar record with OS updates, even with its Android One phones. We hope we’re proven wrong, though. Next Article Nokia’s Banana Phone: Retro gadget, vintage collectible or smartphone for showoffs?